The 8th February 2017 marks the start of a significant new chapter for Lyme disease sufferers in the UK. A meeting was arranged by Teresa Pearce MP and her consitiuent Deb Collins and held at Portcullis House to establish an All Party Parliamentary Group. MPs and members of the House of Lords had the opportunity to meet with doctors, researchers, Lyme disease advocacy groups and patients to be briefed on urgent action required in the UK. Doctors also attended from the UK, Ireland, France and Germany. The main objective of the meeting was to establish an All Party Parliamentary Group, which would be tasked with effecting much needed change in the UK. 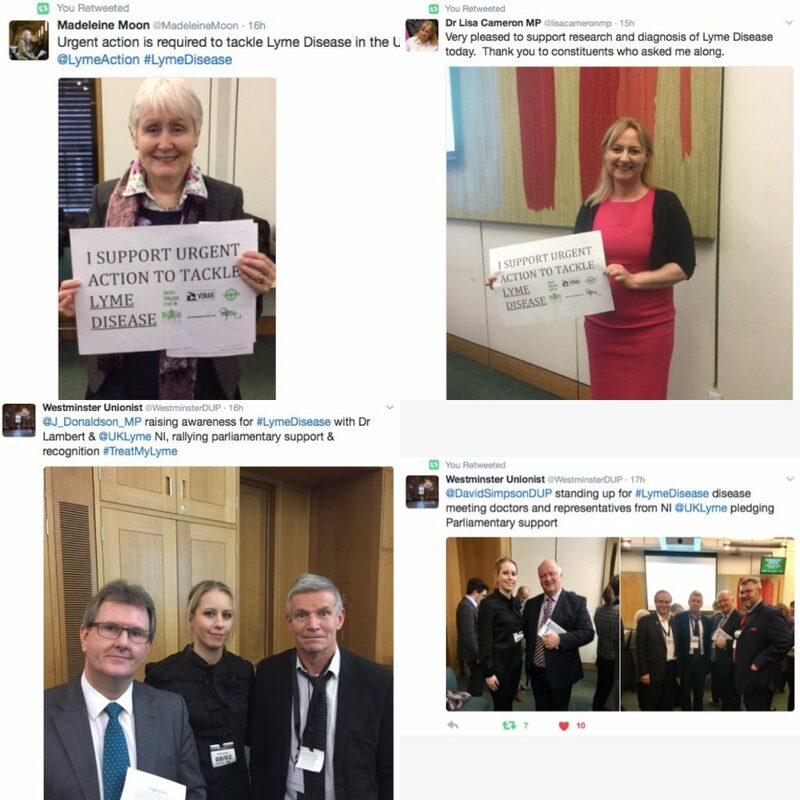 We are pleased to announce that the Lyme disease community has now secured great support from MPs to move forward with this group. Whilst Lyme Disease UK welcomed the three government commissioned reviews into Lyme disease, and the creation of NICE guidelines, these will not be completed until 2018. Thousands more UK residents will be infected this year and therefore this is too late. Change is needed now. Lyme Disease UK continues to campaign for more. The event followed the MP Meeting in September 2016 after which Teresa Pearce MP committed to organising a subsequent gathering. Yesterday, 8th February 2017, this larger drop in meeting took place. improve treatment for those infected with Lyme disease and associated infections. 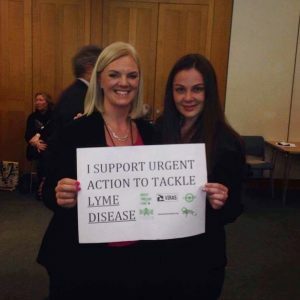 Natasha and Ann attended to represent Lyme Disease UK and presented the MPs with case studies, limitations in the way Lyme disease is handled UK as well as information about the work done by LDUK. A huge thank you to all who organised, attended and supported the event, even remotely, to help make it such a success!